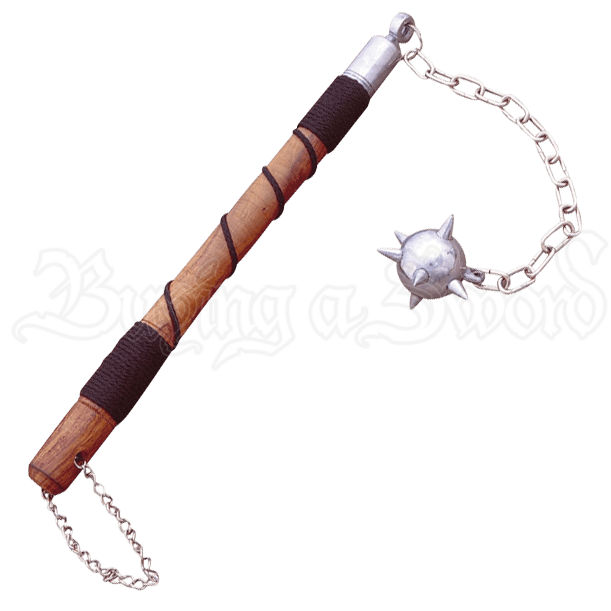 This flail has a very heavy spiked ball made of cast metal to look more authentic. The Medieval One Ball Flail has an overall length of 18 inches. The medieval flail has a wood handle wrapped in cord and a chain attached to a spiked ball. 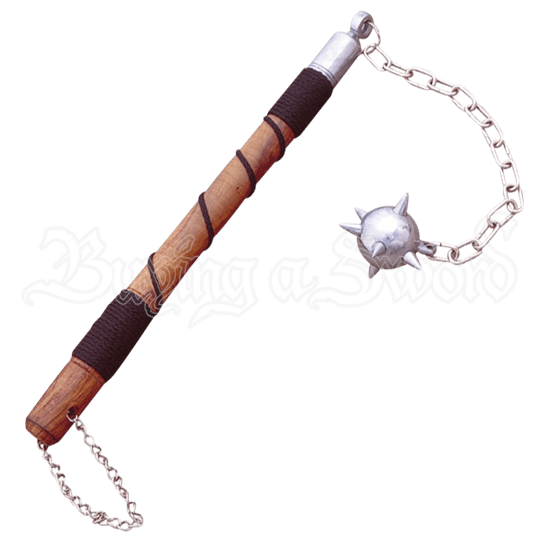 The Medieval One Ball Flail makes a great stage prop or addition to collections of medieval weapons.